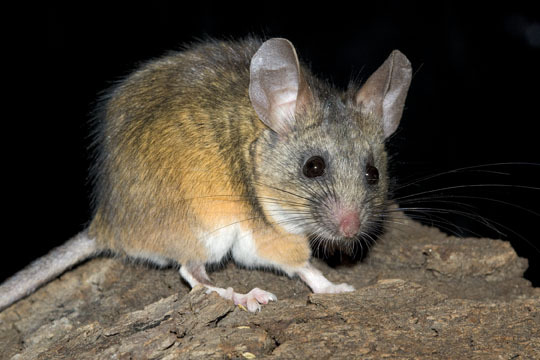 California mice (Peromyscus californicus) are found in coastal California south of San Francisco Bay, along the southwest slope of the Sierra Nevada, and into Baja California. 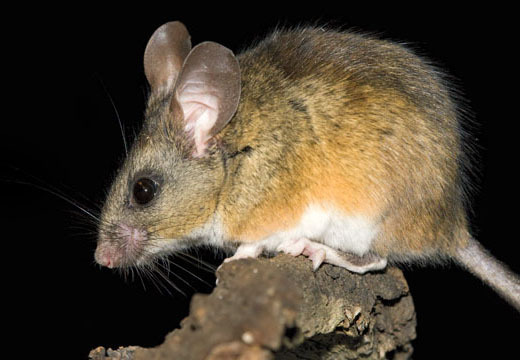 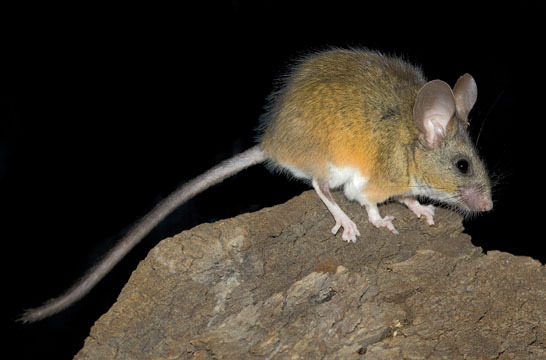 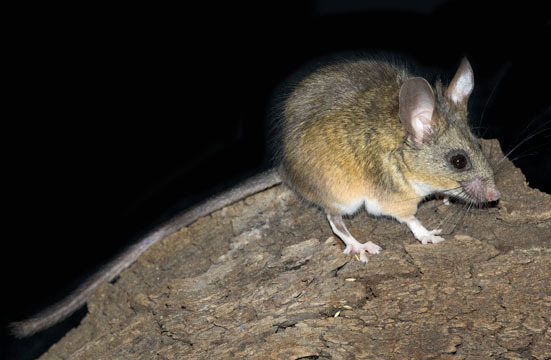 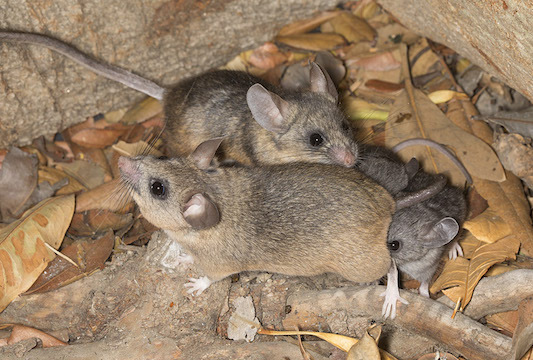 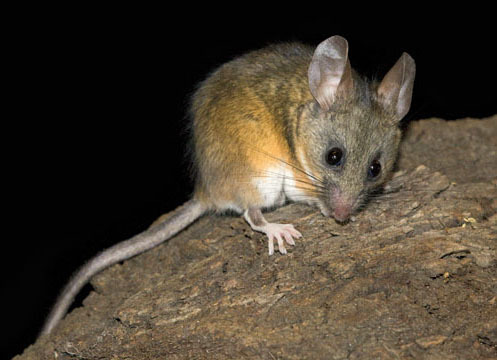 They are among the largest of the 'white-footed' mice in the genus Peromyscus, and have big ears and a particularly long tail (upper left). 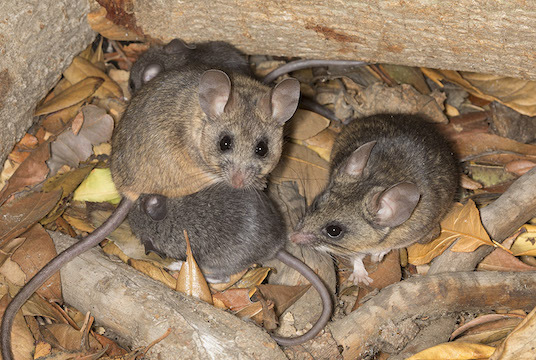 California mice are very well known among mammalogists for their strongly monogamous breeding system. 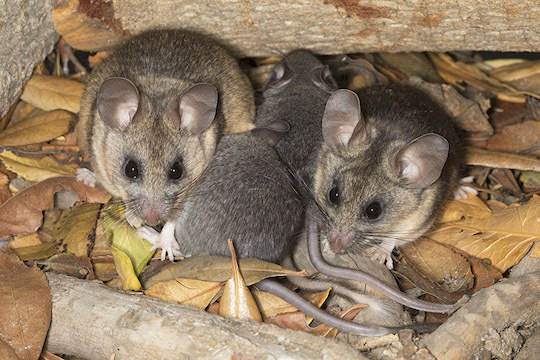 Unlike most small mammals -- in fact, unlike most mammals period -- they live in stable monogamous pairs and males have intensive and sustained paternal behavior. 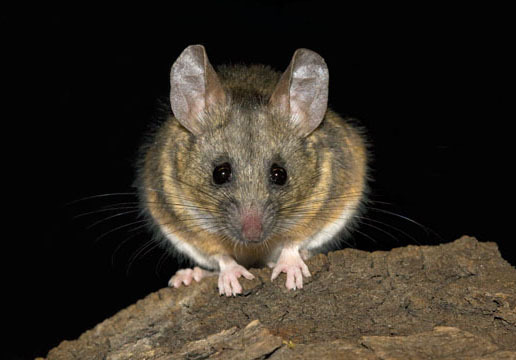 Because of this unusual breeding and mating system, California mice have been studied extensively. 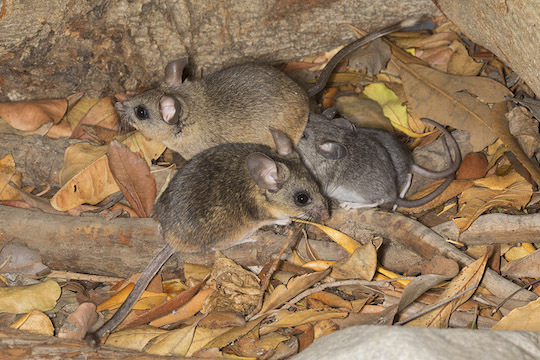 These are captive specimens photographed in Riverside, CA.